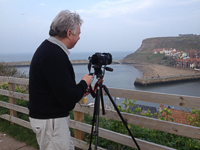 Kim is a photographer living in the beautiful city of York specialising in landscape, nature & floral photography. I take my inspiration not only from the city itself with all of its fabulous architecture but also from the surrounding countryside of the Yorkshire Dales, Wolds, North York Moors & Yorkshire Coast. Before moving to York over 30years ago we lived in a small village outside of Whitby on the Yorkshire Coast, which still gives me the inspiration for much of my work. I love where I live but certainly do not limit myself to the local landscape, flora & fauna around North Yorkshire. I love travelling & finding different landscapes, gardens & wildlife to photograph around the country. In my photographs I try to showcase some of the areas best known scenery but I am also attempting to reveal some of the lesser known or less obvious views. I hope this constantly evolving way that I view the landscape keeps my photography fresh. I have exhibited my work many times including at Oxford University Press.